Today was one of those days where I did manage to achieve my goal but it required a lot of hurry up and wait. One of those days where I was really looking forward to opening up my Adagio Tea Advent Calendar. 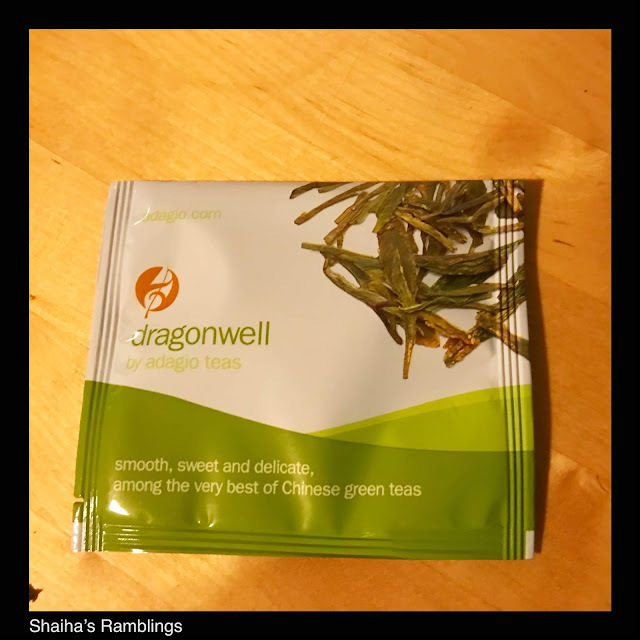 The next stop on our journey is China where you might find Dragonwell Tea. This is pan roasted green tea which is known for a sweet, delicate flavor. Now I don't care for green tea at all so I passed this over to a friend to try. According to M, it's a really smooth tea that tastes 'green' like the nature. As you can probably guess, this tea won't be going into my line up simply because I don't care for vegetal teas. Though it has been requested that I keep some around for M.